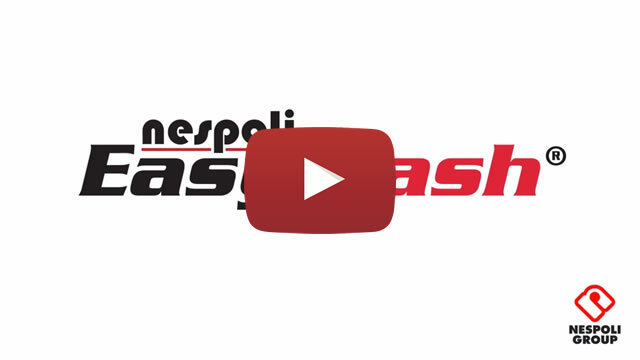 EasyWash® is a revolutionary paintroller cleaning system. 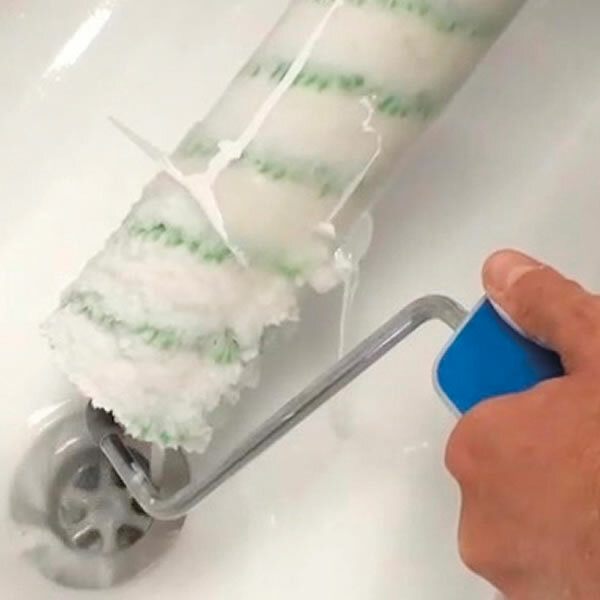 In less than 1 minute the paint roller will be completely clean. It can be connected to the shower hose or with the adapter to a standard garden hose. Cleaning a roller is time consuming, unpleasant and messy. 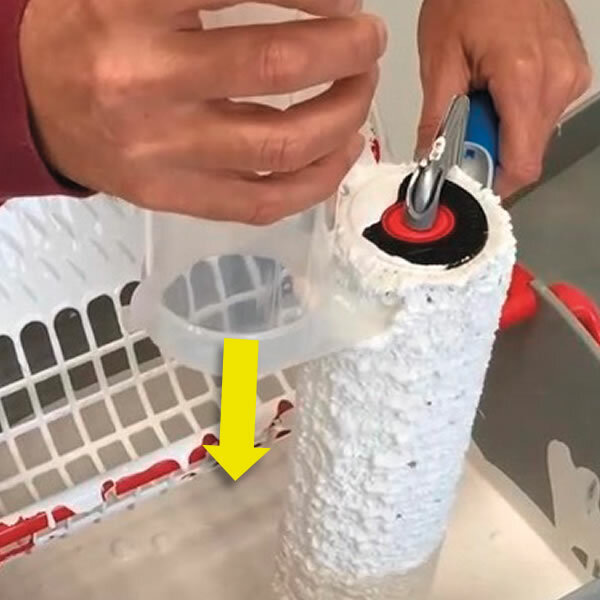 Remove the excessive paint from the roller with the rounded side of the tube. 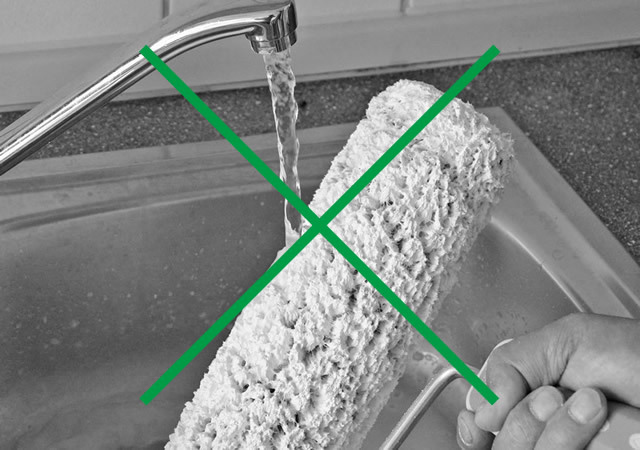 Push the dirty paint roller into the EasyWash® and fix the handle under the hook. 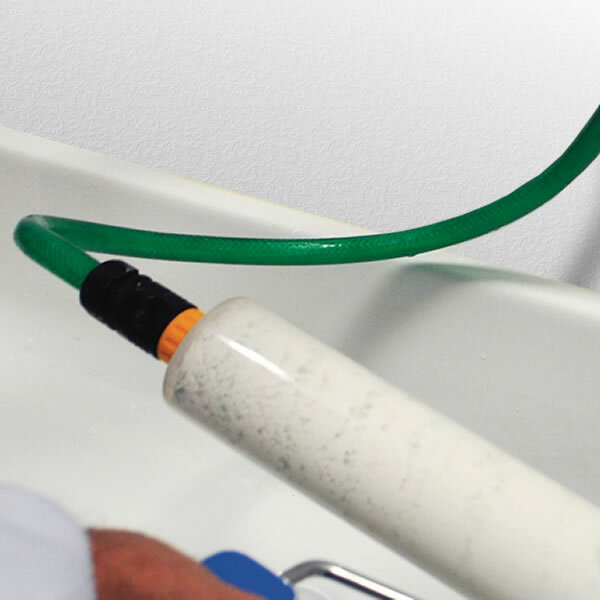 Attach the EasyWash® to the shower or garden hose and open the water supply untill the waste water becomes clear. 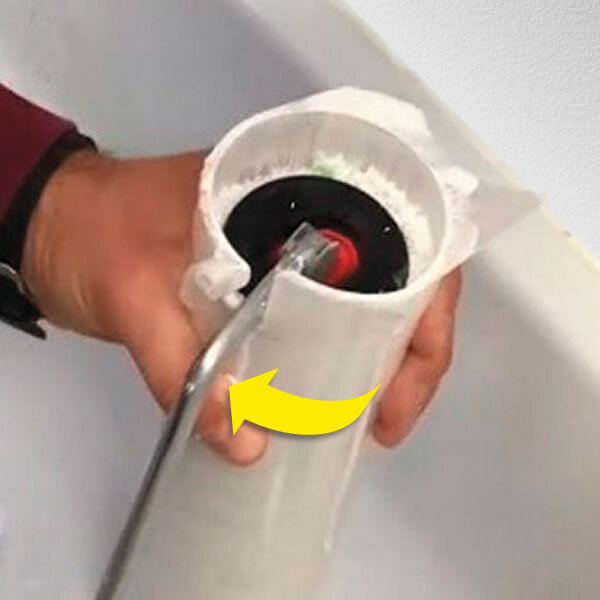 Slow down the water supply, unlock the handle and let the paint roller be pushed out of the tube by the pressure of the water.